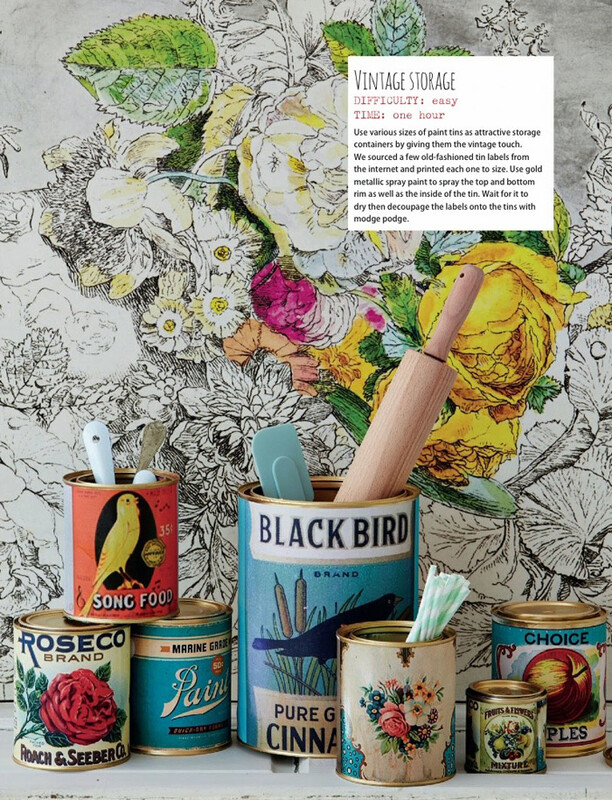 We're loving all these old tin makeovers we found in the March issue of IDEAS magazine from South Africa. 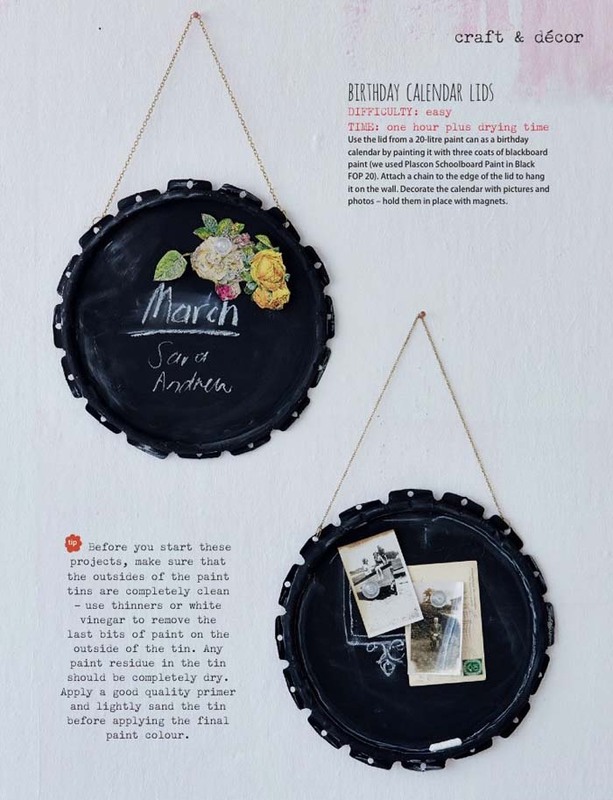 Make calendar lids made from the lid of a paint can painted with chalkboard paint and hung using a chain. 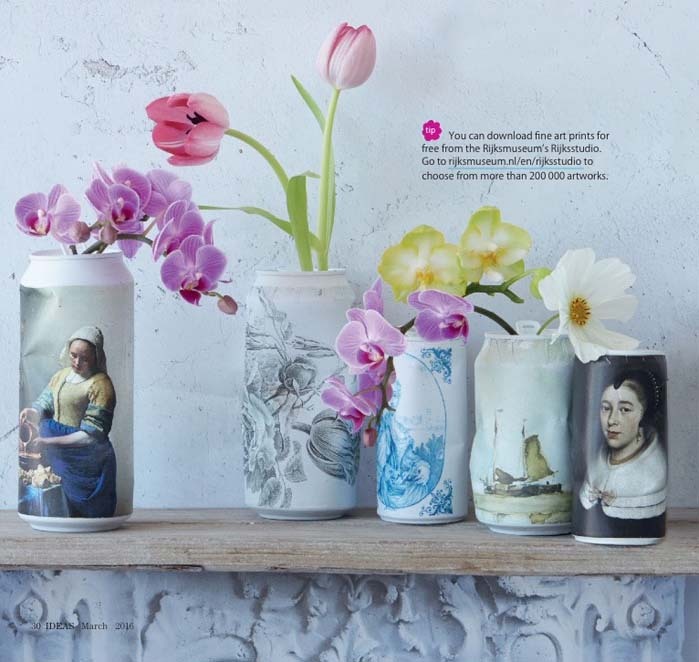 Decoupage fine art prints onto pop cans or source out old fashioned labels off the internet and apply to small paint cans. 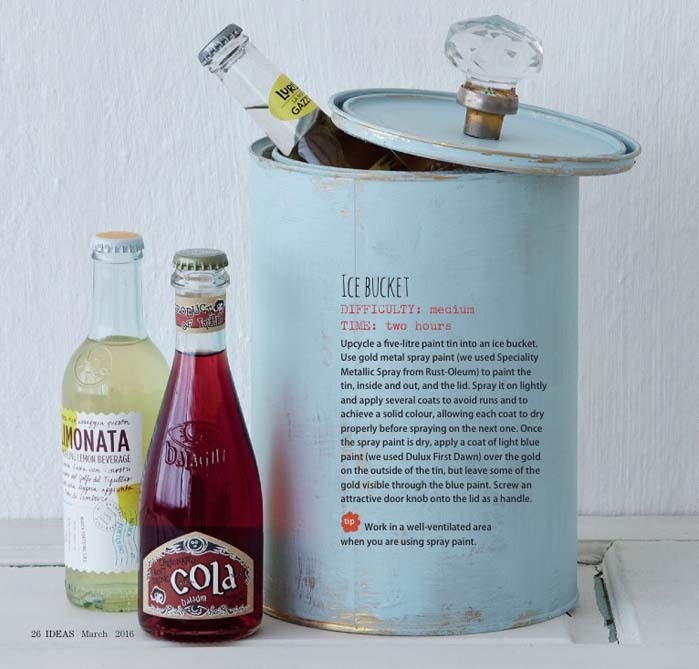 Upcycle a five-litre paint tin into an ice bucket using gold metal spray paint, and light blue paint to the final coat leaving some of the gold visible on the outside of the tin. See more ideas like this in IDEAS Magazine (March issue) in newstands or pick up a digital version at Zinio.com by clicking here. Why use paint tins for storing cooking items, straws, ice when paint generally has some toxic bi products. Suggest up cycle of old malted milk, ghee, formula or milo tins instead would be healthier. Thanks for sharing those great ideas!